Can you name a profession, any profession, in which the top practitioner might be expected to give a speech once every two years or so? Thought not. That’s the record of Jonathan Evans, the Director General of Britain’s security service, MI5. Unlike most leading chief executives, Mr Evans is expected to be conservative in his speech. Positively discreet. Secretive. That’s his business. A spy chief speech, every now and again, is as good as it gets. So his speech on Monday night at the Mansion House was uncommon, his first public speech for two years. The format was the inaugural lecture of the Lord Mayor’s Defence and Security lecture. No doubt we can expect other secretive speakers in the years to come. This helps explain the old saying that when intelligence folk smell roses they look for the funeral. Well, I can’t promise you a rose garden but I’ll try not to be too gloomy either. This allowed the Director General to then pursue his points one by one. You’d be horrified if the Director General was not meticulous with his words. He was. Each point was described and discussed in the detail needed, not too much and not too little. But you can’t listen to the MI5 Director General without acknowledging the politics of this speech. He noted the risk of State funded terrorism by Iran against Israeli interests in countries such as India and Saudi Arabia. OK, but there was no mention of the strange assassinations of key Iranian scientists working on nuclear projects. Spies have political masters. Fortunately, most journalists don’t. 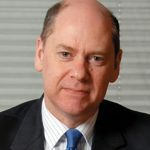 Turning to cyber security the Director General went to some lengths to detail the scale and value of the risks we face in Britain as the internet appears to connect everything. If I may be allowed a Rumsfeld moment, there are of course the uncertainties we can be certain about – like terrorism, cyber security challenges and hostile intelligence activity by states. But there are also those things we remain uncertain about. This situation is bad for us, bad for the other party to proceedings and bad for the administration of justice. In conclusion, I would admit that describing the threats from the perspective of a security service can appear either to be crying wolf or revealing our own blind spots. At least some of the areas of concern that I have highlighted tonight may turn out to be dogs that don’t bark. I hope that is the case! On the other hand, the dog you haven’t seen may turn out to be the one that bites you. A great way to end this speech. 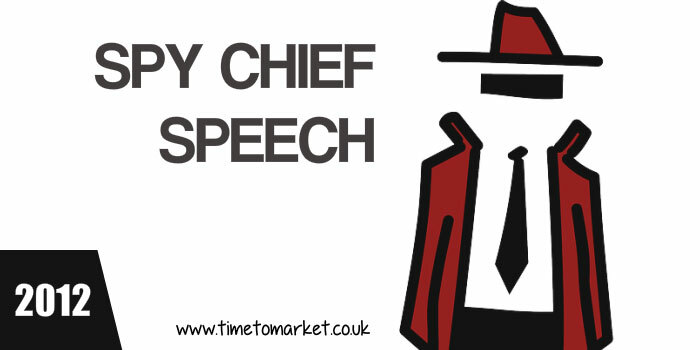 Of course, since this spy chief speech we have heard a whole series of similar speeches. Notable was the MI5 spymaster speech from Andrew Parker in 2017 and the Australian spymaster speech also in 2012. They really are all at it now. 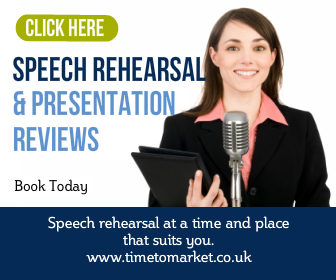 No doubt you will expect to give more than one speech every two years or so So why not aim to read our series of public speaking tips. They should give you an insight into many of the skills and techniques you will need. 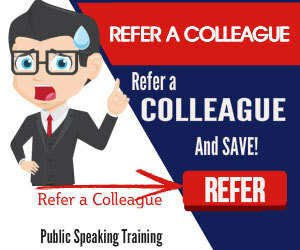 Please don’t hesitate to get in touch when you are ready to discuss your public speaking needs.